HomePro Heating & Cooling is the full furnace service in Avon, IN that your home needs. Rest-assured, your comfort is safe in our hands. There is nothing worse than being unable to stay warm when you need it the most. 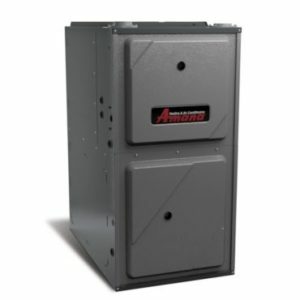 If you need a furnace service in Avon, IN – HomePro Heating & Cooling is the contractor that you can trust. Our team here HomePro Heating & Cooling has worked diligently over the last few decades to prove the quality of excellence that we bring to each and every one of our customers. For that reason, we are proud to say that we are endorsed by the Better Business Bureau, which takes an incredible amount of experience, and skill. We have also ensured that all of our technicians are N.A.T.E trained, and specialize in HVAC solutions for your home comfort. Over the years, the number of homes we have brought comfort into has grown consistently. Over this time, we have run into almost every problem imaginable when it comes to furnaces. Thanks to this, when our technicians come in for a job, they have the necessary experience to take care of the matter right away. We are able to provide faster, higher-quality, and more efficient services for you and your loved ones. After all, no one wants a technician who would only make the problem worse. Bringing comfort to your home for the first time with a furnace installation. Out with the old and in with the new with a furnace replacement. Say goodbye to those pesky utility bills with superior furnace maintenance. Would you like to get in touch with HomePro Heating & Cooling? We would love to help you bring comfort back into your home. After all, we are the experts when it comes to furnace service in Plainfield, IN and the surrounding areas. If you would like to get in touch with the team, all you need to do is visit our Contact Us page. Otherwise, if you prefer a more direct approach, you can also reach out to us by calling at 317-271-2665.